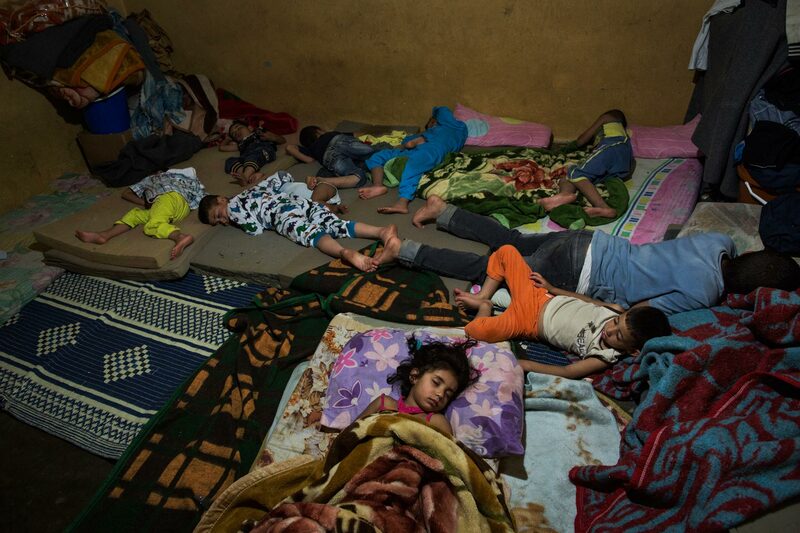 Palestinian-Syrian children who fled with their families from Khan Eshieh refugee camp, near Damascus , sleep on the floor of a house in Jalil Palestinian refugee camp, in Baalbek, Lebanon. The two-room house is home to five Palestinian families, 30 people, who fled Syria because of the civil war. Currently there 60,000 Palestinian-Syrian refugees in Lebanon, with many of those staying with friends and relatives in the Lebanese camps.